Statement pieces are all the rage right now, but the typical prices you see will have most of you running for the hills. 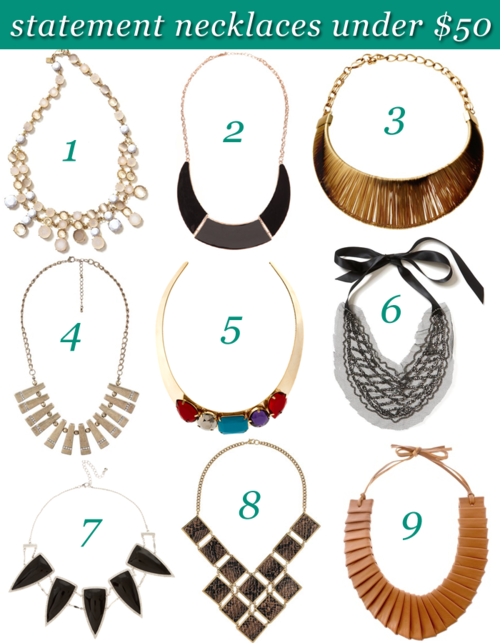 I’ve rounded up the best statement necklaces around that are ALL under $50!! That’s right, you heard me. Get a couple of these cheaper options to spice up your jewelry collection instead of spending a fortune on one pricey piece.